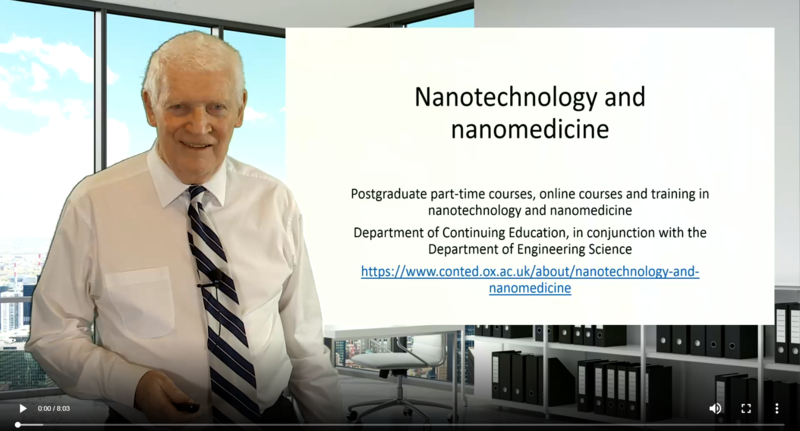 Oxford's new MSc in Nanotechnology for Medicine and Health Care is an advanced part-time modular course. It is delivered by leading scientists and experts with experience of taking nanotechnologies from basic concept through clinical validation to market realisation. The course builds on the world-leading research in nanomedicine at the University’s Institute of Biomedical Engineering and other departments in the Mathematical, Physical and Life Sciences (MPLS) Division and Medical Sciences Division. The course has been specifically designed for those who would value a part-time modular learning structure, for example those in full-time employment, both in the UK and overseas. It will appeal to those working in the commercial, research or healthcare sectors who use or develop nanotechnology in their work. Applications are welcome from biomedical engineers, materials scientists, biotech-entrepreneurs, medical practitioners, chemists, pharmacists, electrical engineers, project managers in related industries, patent agents, legislators, as well as those involved in commercial or academic research in this area of science. The course is taken part-time as a mixture of online and face-to-face modules, consisting of six modules and a research project and associated dissertation. The programme is normally completed in two to three years. 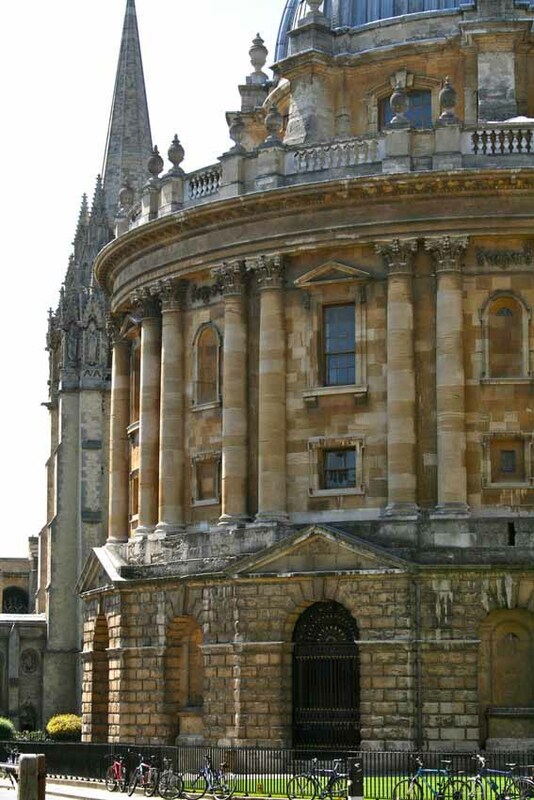 Students are full members of the University of Oxford and are matriculated as members of an Oxford college. The course uses a blend of individual study of learning materials, together with group work during live online tutorials, conventional lectures and discussions and also requires the student to submit a dissertation reporting an original piece of nanomedicine-based research. The group sessions with tutors are particularly valuable because they offer highly focused learning and assessment opportunities. The three online modules can be taken from anywhere in the world with tutors who provide online support and electronically replicate the famed Oxford tutorial system, whereas the three face-to-face modules offer intense, focused lectures from Oxford academics from a range of disciplines with expertise in this field. Assessment throughout the modules ensures that students can monitor their progress. To complete the MSc, students need to attend the six modules and complete the assessed written assignments for each module, and complete a research project with dissertation on a topic chosen in consultation with a supervisor and the Course Director. The course has a dedicated Course Director, Associate Director and administration team accustomed to supporting students undertaking distance learning and face-to-face courses. Students have access to staff at the University of Oxford’s Begbroke Science Park and Institute of Biomedical Engineering, particularly the Course Director, Professor Robert Carlisle and the Associate Course Director, Dr Christiane Norenberg. Please visit the MSc in Nanotechnology for Medicine and Health Care page on the University of Oxford Graduate Admissions website for details of the entry requirements. Robert Carlisle is an Associate Professor in Biomedical Engineering and head of the Drug and Vaccine Delivery group within IBME. Christiane is the Nanotechnology Programme Manager at the University of Oxford's Begbroke Science Park. Accommodation is available at the Rewley House Residential Centre, within the Department for Continuing Education, in central Oxford. The comfortable, en-suite, study-bedrooms are rated 3-star, and come with free high-speed internet access and TV. Guests can take advantage of the excellent dining facilities and common room bar, where they may relax and network with others on the programme. The annual award and college fees are payable at the start of each academic year. The module and dissertation fees become payable throughout the programme, before they are undertaken. All amounts are in pounds sterling. The fees below are for the MSc in Nanotechnology for Medicine and Health Care for the academic year 2019/20, please see note  below regarding fees for the 2020/21 academic year. The total fees comprise a minimum of two annual award fees plus six module fees and a dissertation fee; a further annual award fee is payable for every additional academic year (or part-year) of attendance beyond the first six terms. Students transferring to the MSc in Nanotechnology for Medicine and Health Care from the Postgraduate Certificate in Nanotechnology should normally expect to pay, in addition to the Postgraduate Certificate fees already paid, three MSc module fees, one dissertation fee, one part-time college fee, and then one annual award fee per year (or part-year) of registration on the MSc. (Please contact us before applying if you are considering this). No additional college fee will be due for registration beyond three terms. The fees listed are for the academic year shown, and you should be aware that these rates will increase annually, meaning that the total will be higher than is shown in the Illustration. The exact amount will depend on the fee rates set annually, and upon the years you are in attendance; these are normally published well before the start of each academic year, but for your own budgetary purposes you may wish to estimate a 5% annual increase on fee rates. Details of funding opportunities, including grants, bursaries, loans, scholarships and benefit information are available on our fees and funding pages. Early application is strongly advised. All applications must have been fully completed before the application deadline. Shortlisted applicants will be invited to video interview and asked to provide evidence of their funding for the programme. Please contact the administrative team if you have any questions concerning the deadlines for the course. See further information for the Graduate Admissions application guide. *Eligible applications completed before the January deadline will automatically be considered for an Oxford Graduate Clarendon Scholarship. The MSc in Nanotechnology enabled Martha to progress towards a career in academic medicine whilst continuing her clinical career.